Next week 343 Industries is going to push out a free content update for Halo 5: Guardians to everyone that’s called the Cartographers Gift. This’ll have new content and of course restarts the season of competitive multiplayer for everyone. 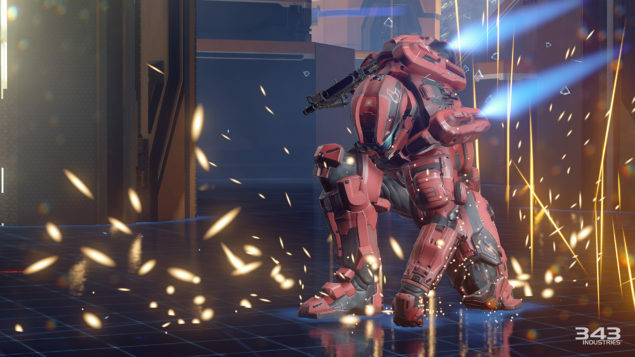 Halo 5: Guardians free update includes a new rocket launcher, skill sold separately. In this update there’ll be four new maps, one for Warzone and three for Arena mode. Judging by the names alone, they should add quite a bit of variety. New REQ is also making its way into the update, with new weapons, armor and even emblems to help you stand out on the battlefield. The real exciting piece is the introduction of the SPNKr Rocket Launcher. This dual-tubed destructive wonder will be available in three different varieties that increase in their rarity. I can already predict the fun new kill montages that’ll pop-up after this gets released.